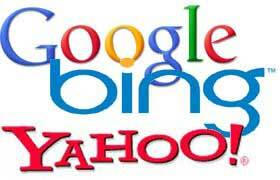 Hey, we all know how search engines like Google, Yahoo and Bing work. You create a web site or page, a search “spider” crawls through your content and figures out what your site or page is all about. Then, based on that determination, doles out a link to your site to the search engine’s visitors looking for the kind of content you created. That’s all true, but the problem is that an entire industry, a disreputable one, has sprouted up to take advantage of how search engines rank links, ensuring that junky web pages filled with misleading ads end up at the top of Google’s search results while your legitimate web page end up somewhere on Page 20. To understand just how bad this situation is, read this article by Alan Patrick. But, that’s what happens in free marketplaces. Instead of getting mad about it, the trick is to use the same tricks that the scammers use to make sure your legitimate website ends up as high as it can in search engine results. Because if you don’t end up high enough, then the less people will find your website, whether you run a film blog or a promotional website for a film. There are two components to every text link on a web page: There is the actual hyperlink, such as https://www.undergroundfilmjournal.com/, and then there are the words that are highlighted to create that link, such as “Underground Film Journal.” When we combine those two things, we get a usable web link, like this: Underground Film Journal. So, what you want to make sure of is to name your movie site or your blog title posts so that other bloggers — and yourself for that matter! — will create links using the words you want your site referred to as. Another example, let’s say you want to internally link to your own photo gallery on your own film’s promotional website, don’t just link to the gallery by highlighting the word “Images.” Write out something like “Photo Gallery” or “Movie Title: Photo Gallery” so search engines know exactly where they’re going when they’re crawling your site. I see this tip not being followed a lot when I look at web pages that have just images or video on it. Let’s say you have a promotional movie site with a photo gallery and a trailer on another page. I always see sites like this that just put the image up with no description of who or what’s in the image and no words indicating that a page has some video on it. Yes, it’s clear to the web visitor that there’s a trailer to watch and that the star of your movie is striking a dramatic pose in a picture. But, search engines can’t figure that out the way people do. Search engines need text to let them know what’s on a page. This also goes for film blogs. I always see blogs that just name the movie trailer or an image in the post title, but don’t write anything in the actual post either above or below the video or the image. The more relevant text on a web page the better for search engines to figure out exactly what’s on that page. Bonus tip: When you post up a photo gallery, it also helps to name the images by the people in the photos. Don’t just name a photo something generic like “still1.jpg.” Name it something like “jane_doe.jpg.” That’s more text for a search engine to read on your page. Remember again that there are two components to a text hyperlink: The actual link and the words highlighted to create the link. Not only is that important for you creating links on your web pages, but it’s also extremely important to how your links show up in search results. When search engines provide you a list of links in results, they give you them in the format of the web page title text being hyperlinked, typically with the key words highlighted. That’s why Wikipedia shows up in a high position for tons of search terms. A) Lots of people link to them highlighting those search terms such as “underground film.” B) Wikipedia has a great internal linking structure where the search terms are highlighted. And C) Each Wikipedia page title explicitly includes the appropriate search term. Playing the search engine game so that your website ranks high is a complicated and involved one. Just look how long this article on three simple tips took! But, it pays to read up on how search engines work every once in awhile to give your site some extra ranking juice.